Almost all activities we undertake in this world needs money, so even paying for your college education, you need money, and a lot of it. Paying for college education has become very expensive but we do not have an option, we have to take our kids to college and we too need to go to college. So this article will show you how to finance your college education. So, stop worrying and read these effective and applicable tips that will guide you on how to finance your college education. (i) Scholarships :- Scholarships are generally awarded to students based on merit or academic achievements. So if you have a good academic achievement, you can be able to apply for a scholarship. Once you acquire a scholarship, it will cover all your educational needs. One of the best things with scholarships is that you will not have to repay it back after completing your education. (ii) Grants :- Grants are almost like scholarships only that they are awarded to needy students. So if your family is financially challenged, it is possible to get a grant. And just like scholarships, grants do not require repayment. (iii) Sponsors :- Another way of how to finance your college education is through Sponsors. Sponsors can be your parents are a relative who is ready to finance and meet all your college needs. Of course the sponsor should be committed. (iv) Student loans :- Applying for student loans is another way you can finance your college education. Most countries offer loans to college students. This loan is required to be paid back after one completes college education and gets a job. (v) Work study :- There are some countries that offer part time employments to students. In this way, students can be able to pay for their college education from what they earn. There can be some added advantages in this work study in that the student gains extra skills in the work environment. (vi) Essay contests or competitions :- This is another good way you can get money to pay for your college education. Some companies or organizations offer scholarships based on essays or competitions that are held mostly annually. These competitions usually involve a number of colleges where the best students are awarded scholarships. 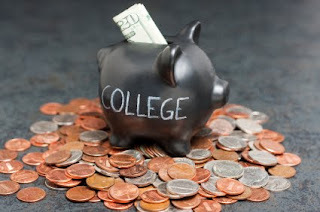 (vii) Self financing :- Yes, it is possible you can finance your own college education needs. This can be possible for you if you are ready to take part time jobs. There many part time jobs available even if they do not pay handsomely, you can be able to save the little you get and pay for education needs. There are hundred of online jobs that can enable one to finance his or her college needs. If you are also a down to earth person there are numerous odd jobs you can do within your city, and whatever you get from them will enable you to cater for your college needs. So, do not let that dream you have fade away, utilize one or some of the ways mentioned here and you will be able to finance your college education. It is said that education is the key to success.